If you are suffering from hearing damage caused by the work you do, you may qualify for workers’ compensation benefits. These benefits will allow for you to seek the best medical treatment available, all at no cost. Your employer owes you these benefits because of the work that you do for them, though your employer may make it very difficult to acquire your benefits. Call a lawyer today to find out more about your options and how to best approach your White Plains workers’ compensation claim. Nearly everyone is exposed to dangerous levels of noise pollution on a daily basis. Loud noises trigger a fight or flight response, releasing stress hormones and driving up our anxiety. The more time you spend in or near traffic, in cities, or exposed to noise at work, the more likely that you will develop heart disease, diabetes, depression, high levels of stress, sleep deprivation, or anxiety. According to the Atlantic, while these damaging levels of noise are around 60 to 70 decibels, which we are surrounded by for many hours each day, more serious physical damage occurs at higher decibels. It may be difficult to prove that your heart disease or depression is caused by the moderate noise you are exposed to at work. However, it is certainly possible to prove that your damaged eardrums are due to the loud occupational noises you are constantly exposed to. To be sure, 85 decibels is the number that begins to cause hearing damage. Three factors account for how damaging noise is: the sound level, the distance away from it that you are, and the time of exposure. According to the U.S. Department of Health and Human Services, the greater the sound level, the closer you are to it, and the longer the exposure, the more damage is caused to your hearing. The noise does not need to be significant to cause hearing damage, however. A mobile phone’s upper limit is around 105 decibels, which is 20 greater than when damage begins to occur. How Prevalent is Hearing Damage? According to the Centers for Disease Control and Prevention (CDC), hearing damage is the third most common chronic illness in the U.S., twice as prevalent as diabetes or cancer. 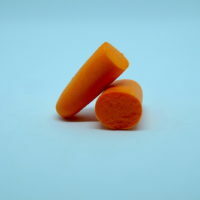 Why is our hearing so bad? A whisper is 30 decibels, a normal conversation is 60 decibels, and a motorcycle is 95 decibels. Because damage occurs at 85 decibels, it is no wonder why so many of us have compromised hearing. If you have ever been exposed to 120 decibels for even a short amount of time, you may have experienced hearing damage. Virtually all workers are in danger of hearing damage, especially those who work in construction, factories, on assembly lines, in agriculture, or near traffic. Contact the White Plains Law Office of Michael Lawrence Varon today for help.